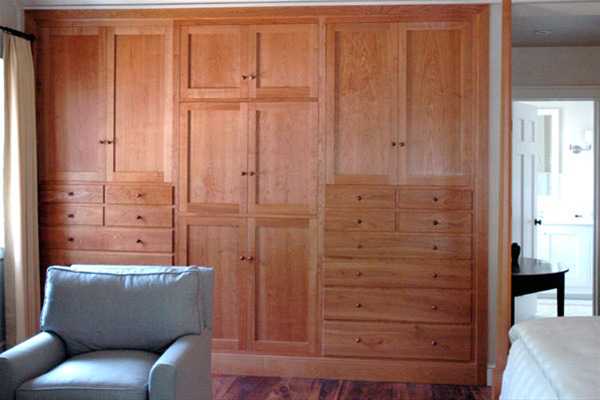 This piece, 10' wide and 10' high was designed in the classic Shaker Style. Complicating the issue though is the fact that it is built into a sloping ceiling and house the obligatory pull out and swivel TV as well as almost 30 solid wood hand dovetailed drawers. Site specific pricing @ approximately $2500 per lineal foot plus installation.